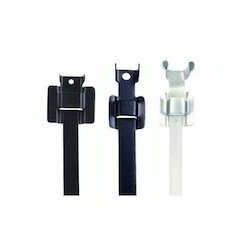 • Releasable coated stainless steel cable ties. • The buckle design provides fast and easy application, and reuse. • Made from 304 and 316 grade stainless steel. • Excellent resistance to salt, sand, acids, temperature variations and chemicals. Releasable Cable Tie is an excellent lightweight cable tie solution due to their unique reusable nature. We are offering Releasable Cable Tie to our clients. 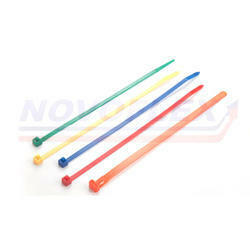 Our organization is well known in the market for providing a broad assortment of Releasable Cable Ties to our clients. These products are manufactured using quality tested components.